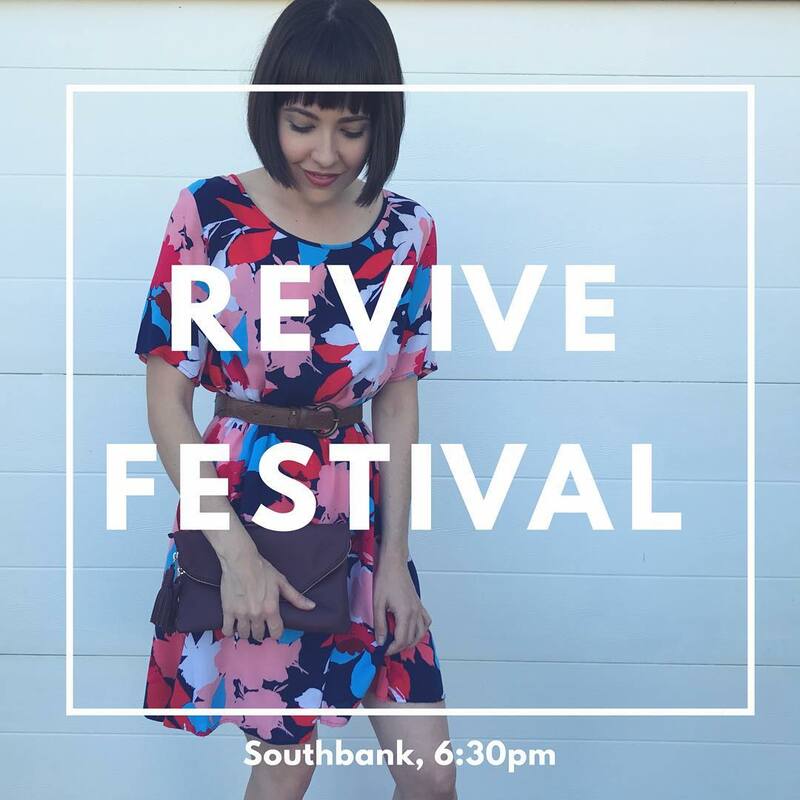 Today is the day I share my sustainable fashion story at the Revive Pop-Up Second Hand Festival at Southbank, run by the Brisbane City Council. I have an entire half hour spot (6:30pm, speakers tent) and I’ve already got the shakes as I write this post! Despite being on stage hundreds of times over the years, I still always get nervous. The only thing that pulls me through is the fact that I’m talking about something I care so much about – ethical and sustainable fashion. There will be live entertainment, thrift stalls, fashion shows, workshops and talks. I’ll also be sharing the stage as part of a panel with my pal Never Ever Pay Retail and Jill Chivers at 7:00pm (right after my talk). Hope to see your faces there!